So as you can see, definitely not a fashion post today although I must say my new White Company dressing gown is one of my favourite items to wear at the moment, it’s just so soft and luxurious. Anyway, to the point! I wanted to share with you some amazing new products from Mark Hill. 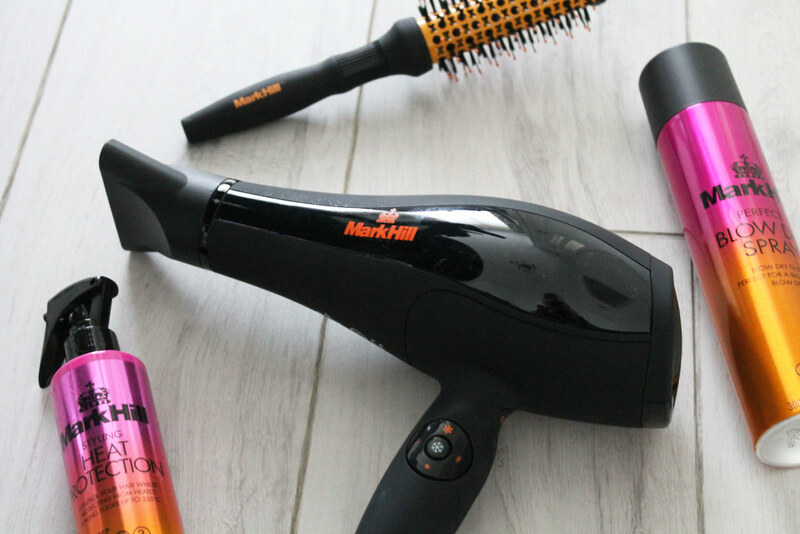 A couple of weeks ago my hairdryer packed up and it’s like the hair gods were looking after me because just the day after an email popped through from the team at Mark Hill. 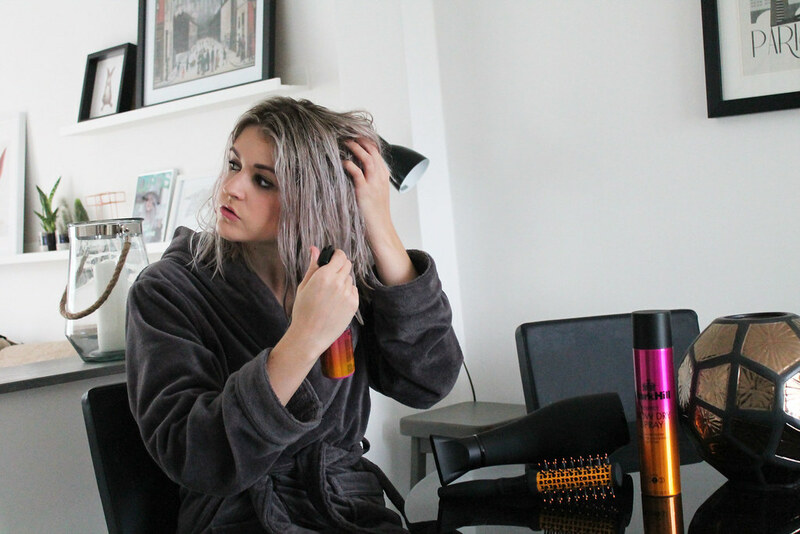 I’ve been testing out their perfect blow dry hairdryer along with a heat protection spray and the ultimate blow dry spray. 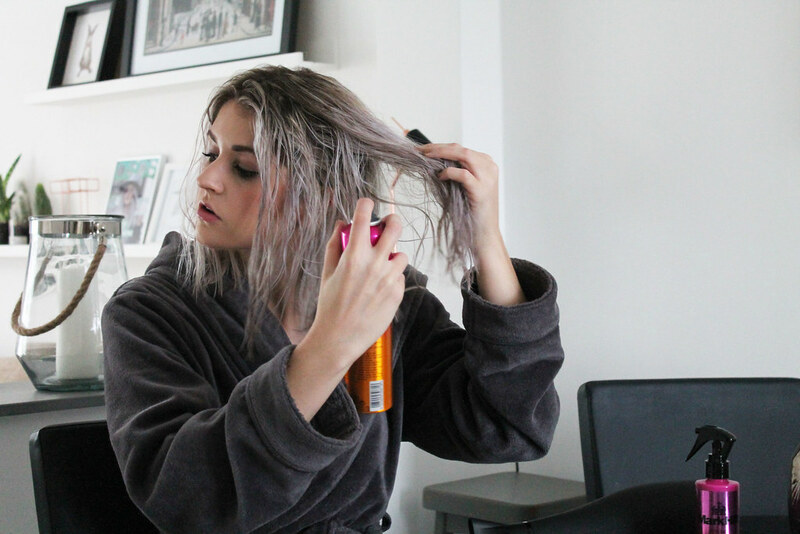 My hair routine has never been something I’ve particularly stuck with, floating from one product to the next and not always using a heat protection spray. Considering I dye my hair and regularly use a shampoo which contains bleach, I really should have been paying more attention to keeping my locks in good shape. I can’t believe what a difference a good hairdryer makes. According to the box, it’s the actual hairdryer used in Mark Hill salons and it definitely has that quality. Not only did my hair dry much quicker it also felt lighter and bouncier. Although I don’t really style my hair with any tools, I have always struggled with volume in my roots. My hair is thick and there’s plenty of it but as I like it to be quite straight and sleek I find this can make my hair quite flat. 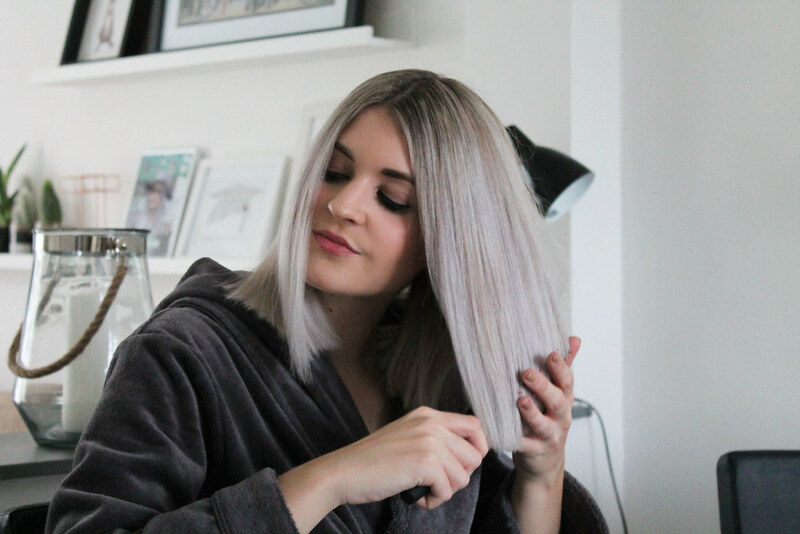 A few sprays of the blow dry spray and it brought my hair to life and added the bounce I’ve been after whilst maintaining my everyday sleek and straight style. Along with a quality brush (which contains argan oil fyi!) my hair feels so much glossier and healthier. 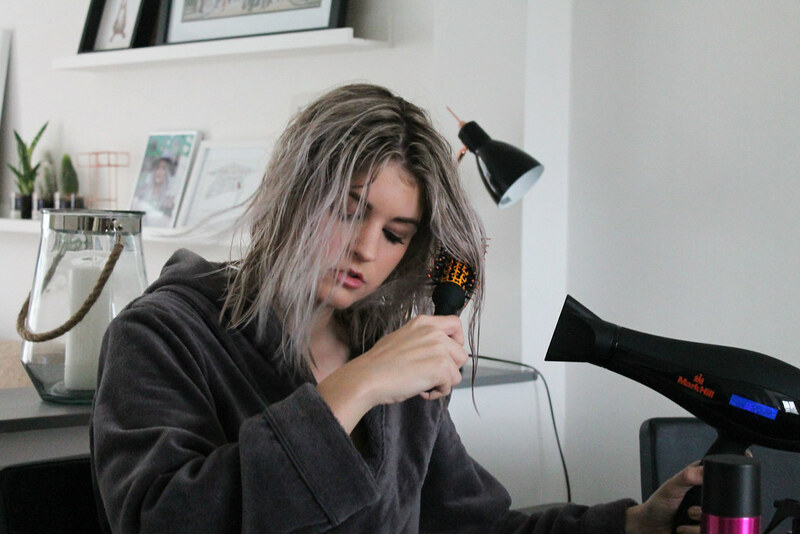 I’ll definitely be sticking to this new blow dry routine and hopefully my poor bleached hair will be nourished and nursed back to health! *although these products were sent to me c/o Mark Hill my opinion remains unbiased as always!